Content marketing is easy right? You write a basic blog post, hit publish, share it on social media and your email list, and then just watch the leads roll in. Unfortunately, that’s rarely how it works. This strategy might generate a few leads at first, but eventually your lead generation efforts will flat line. With so much content being created everyday, you need to create a content strategy that stands out above the rest if you really want to ramp up your lead generation efforts. 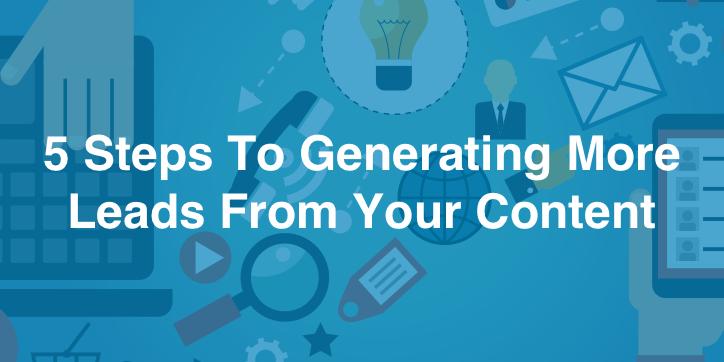 Here are 5 steps to generate more leads from your content. Improving the design and presentation of your content is the easiest way to generate more leads without having to create more content. The first step is completing an audit of your content in its various forms, especially your blog content. Is the content easily readable? Does the design match your brand? Each piece of content you produce should be designed for maximum engagement. Use well designed and optimally placed calls to action (CTAs) to convert readers into leads without obstructing their reading and annoying them. While pop ups and exit intent technology are a growing trend, there are less obtrusive ways to generate leads. Slide-in calls to action work well because they are only shown when the reader is already engaged and do not block the content. In-text links also work well because they act as a natural extension of your content. A good blog design will also help readers discover more of your content. With so much content being produced by businesses everyday, it can be hard to cut through the noise and build an audience. That’s why it’s important to distribute your content to new audiences by publishing content to channels besides your own blog. Sites like Medium and LinkedIN have their own audiences and built-in distribution methods. By publishing your content on these channels, you can piggyback off of their existing audiences. While the SEO benefits of guest posting have declined in recent years, guest posting is still a great way to get your content in front of new audiences. Find blogs that have a large audience that you want to target and submit your best content for consideration. For best results, do some research on the blog, is audience, and the kind of content that has resonated. Use these insights to craft valuable content. Not all content has to be in the form of blog posts and ebooks. The next time you have an idea for new content, try creating a presentation for SlideShare or even a short video. Creating unique and useful forms of content will help you stand out in a crowded field. For B2B content marketing, content like planning spreadsheets can be very useful to your targeting audience. With tools like Typeform and SnapApp taking care of the technical aspects, creating interactive content is not much harder than creating written content, even if you only have a small team. Interactive content such as quizzes, calculators, and interactive infographics are easy to digest and tend to get more shares than written content. It’s easy enough to create processes for your content creation. There’s years of best practices to build on and plenty of editorial calendar spreadsheets and tools to make planning easier. The problem is that content creation is only half the battle. There’s no point in creating content if no one reads it. To ensure that every piece of content you create reaches the right audience, create systems and processes for distributing your content. Take a look at your analytics over the past 6 months. Where is most of your blog traffic coming from? Is the allocation of traffic relatively the same for each post? Which posts get the most traffic? Why? The goal here is to understand what makes your most successful blog posts more successfull than the others and then create a process to replicate this success for every blog post you publish. Create a list of the top distribution channels for your content and the specific tasks you need to do for each channel. For social media this can be as simple as choosing the right hashtags for each tweet and creating custom images for Twitter and LinkedIN in the right dimensions. For email newsletters, make a list of the subject lines and send times that work best for you. Once you have a process in place, the next step is optimizing each step of the process for maximum results by testing different distribution tactics. Your sales team should be a core part of both creating and distributing your content. Your sales team interacts with your target audience everyday, so they probably have a good idea of the questions that leads ask them and the kind of content that would resonate. Ask your sales team “What content can I create to help you close more deals?”. The answers you get will help inform your content strategy. 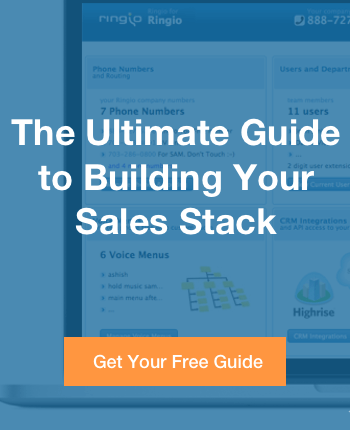 Whenever you create a new piece of content, notify your sales team. Make it easy for them to share it with their leads by giving them UTM tagged links. They can then add the link to their email signatures or just send it to leads they need to follow up with. When your sales team interacts with leads that are not yet ready to buy, you can use automated drip campaigns with your best content to nurture these leads. The best way to do this is to connect your marketing automation tool to your CRM and trigger drip campaigns based on the status of a lead. These drip campaigns will automatically engage leads until they are ready to buy, at which point you pass them back to your sales team. As with any marketing effort, the key to generating leads through your content is to track the metrics that matter and constantly test new ideas to move those metrics in the right direction: up and to the right. MAKE 2019 YOUR BEST YEAR WITH OUR FREE SALES CONTENT! Install our Chrome extension to get started. © 2019 Ring.io All rights reserved.